Find the right under cabinet lighting for you. Our blog includes buyer’s guides to help you choose undercabinet lights, information about different light sources and shapes, and finally under cabinet lighting installation tips. You need a light to rely on. Most outdoor kitchens don’t have a constant source of ambient light. Unless your space is complete with a ceiling and some sort of overhead fixture, you can’t just rely on the sunlight. If you like the feeling of cooking in the open air, you’ll need some sort of task lighting, especially when preparing food after dark. Despite all the variable conditions in the outdoor kitchen, adding lights to specifically illuminate your countertops will ensure you’ll always have adequate task lighting. The lights will come in handy when you grill meat or veggies, allowing you to check that they’re fully cooked before serving. Under cabinet lights help you see when mixing and pouring drinks, and fixing snacks as well. Having extra task lights will also help you see to thoroughly clean your outdoor kitchen, so leftover crumbs won’t attract unwanted pests. DIY-ers lend me your ears! When choosing under cabinet lights, plug-in fixtures are a great option. They offer high quality light, but don’t require such an involved installation like hardwired lights. If you’re looking to update your kitchen with some plug-in under cabinet lights, just follow these easy instructions to have them up and running in no time. These 7 easy steps are applicable to linear and puck under cabinet lights of any light source. (To learn more about which lights will work best in your kitchen, check out this article). What is Under Counter Lighting? Just in case you’re wondering, under cabinet lights are known by a whole bundle of different names. Besides the name “under cabinet lighting,” which makes a lot of sense because they’re the lights you install under your cabinets, they’re also called undermount lights, task lighting fixtures, kitchen under cabinet lights, and under cupboard lighting. 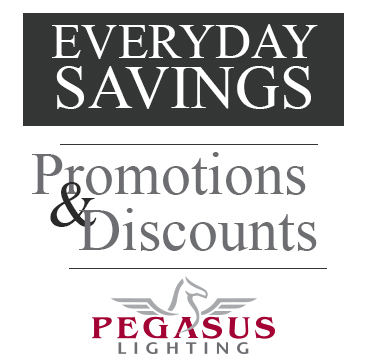 But, the name that has caused the most head-scratching here at Pegasus Lighting is “under counter lights.” Most everyone understands that under cabinet lighting and under counter lighting are different names for the same thing, but when you really think, it doesn’t make much sense.